The KK 30 LH is the perfect solution for businesses that are restricted by height within their factory where due to the volume of waste a smaller model would not cope. This low height baler excerpts 20 tons of force, compacting card and plastic to a fraction of its size and produces bales of up to 300 kgs. 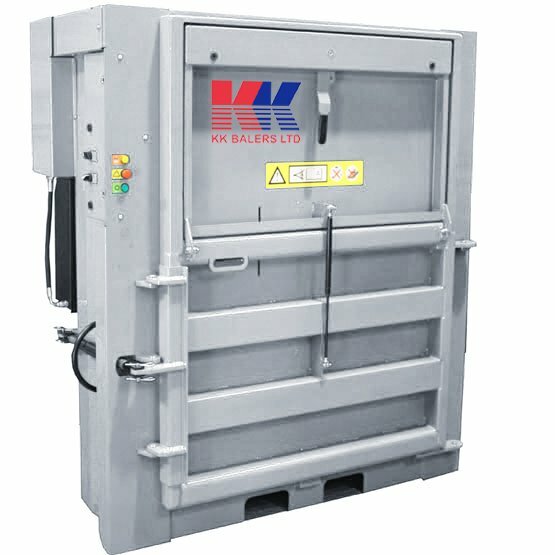 The KK 30 LH is a fully automated baler, indicating when the bale is ready and can be ejected onto a pallet for ease of removal. It also has a pull down door which helps to maximise the load put into the baler prior to compaction.